An MP3 CD is a compact disc with audio files in the MP3 format stored on it. Burn an MP3 CD if you plan to listen to your music in a CD player, or if you want to back up your favorite music to optical media. Audio files on an MP3 CD are stored like any other file on a regular CD-ROM, using the Yellow Book CD standard. 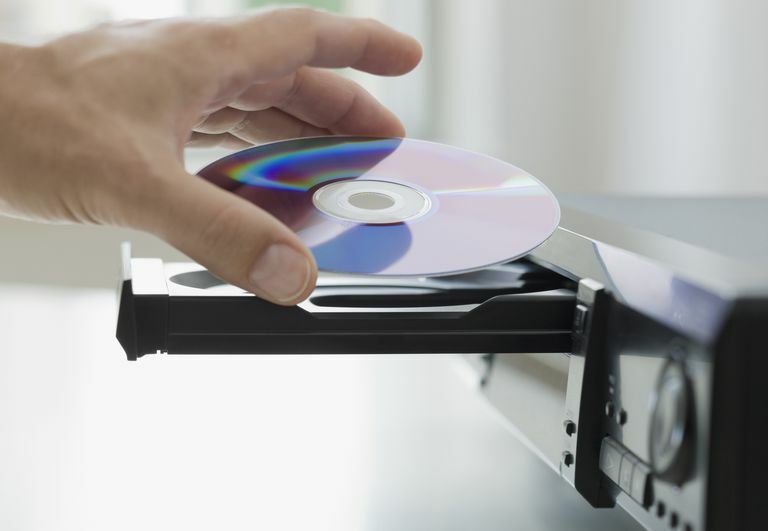 This storage method differs from audio CDs, like ones you might buy in music stores, where the files are encoded in an uncompressed format using the Red Book CD standard. The quality of audio CDs is much higher than that of compressed MP3s. People sometimes generically refer to an MP3 CD even though they add audio files in different formats to the disc. There's no guarantee that CD and DVD consumer electronic devices, such as some CD players, can play all the audio formats stored on your custom disc. Minimize this problem by making the MP3 CD with only MP3 and other well-supported formats, like WAV and AAC. The audio files on a normal audio CD aren't compressed, so the maximum playing time you can get out of one is approximately 80 minutes. An MP3 CD, on the other hand, lets you extend this maximum playing time significantly and store many more songs. Music stored in the MP3 format is encoded in a compressed format and takes up a lot less storage space than non-compressed files. With an MP3 CD, you can record eight to 10 albums, or up to 150 songs, on one disc. The exact number, however, is dependent on the format, encoding method, and the bit rate used. MP3 CDs may offer the advantage of being able to store more music than a regular audio CD, but there are disadvantages. The sound quality of an MP3 CD is inferior to the sound from a typical music CD. You might not be able to hear it, but it's technically true because MP3s are stored in a lossy format, whereas audio CDs contain uncompressed, lossless audio. MP3 CDs are also less compatible with consumer electronic devices than purchased audio CDs are. Although many modern hardware devices like DVD and CD players support the MP3 format (along with WMA, AAC, and others), some hardware equipment only supports the playback of uncompressed audio CDs. Building your own MP3 CD is as easy as burning the MP3 files to a disc, which you can do with a variety of software programs. You can also burn MP3s to a CD with software you probably already have on your computer, like Windows Media Player or iTunes. If your music files aren't in the MP3 format, you can convert them with an audio file converter. To copy music from a CD to your computer, you need a different program made specifically to do that. Some MP3 CD creators in that list above have the dual purpose of being a CD ripper, but dedicated music CD extractors work, too.